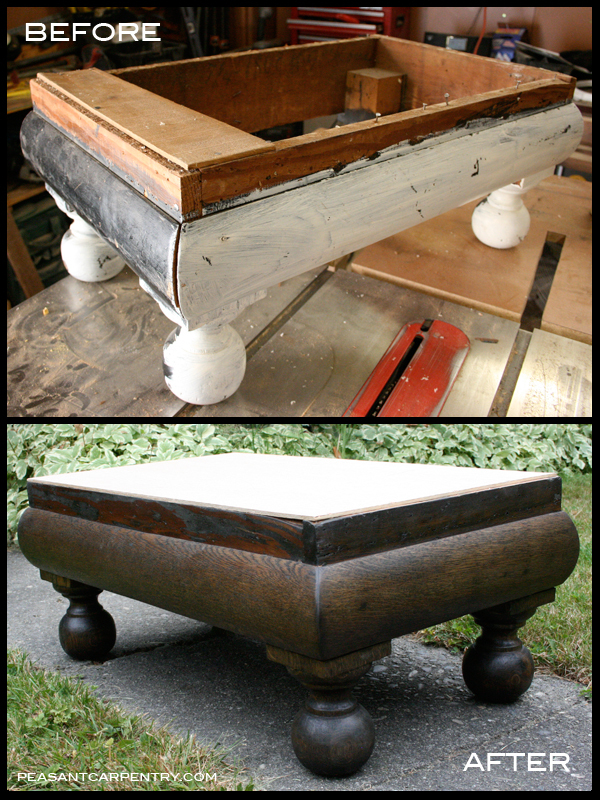 Whether it’s a piece of heirloom furniture or a find off craigslist, some pieces just need a little help to get back on their feet. 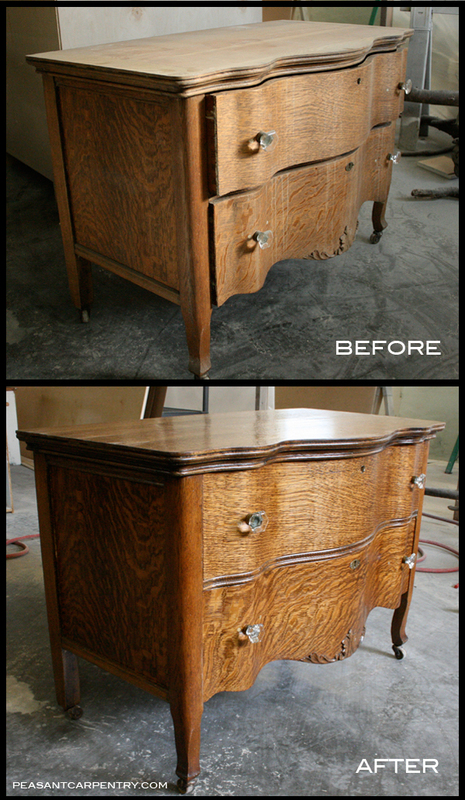 This antique dresser had a bit of water damage, and the entire top veneer had peeled off. To repair the damage I stripped and sanded the entire piece, found a new piece of veneer to match the heavily flecked antique piece and sealed it with several coats of finish. This little ottoman was in pretty rough shape when I got it from the client, but it was solid wood so salvaging the piece wasn’t a problem. I sanded the entire thing down, puttied the gaps, stained and finished it. The client later had someone else upholster the top for her.